Globally, we see the manifestation of this lack of education and opportunities linked to poverty. While an astounding number of adults are non or low literate, the ripple effects are clear: the poorest children are four times less likely receive a basic education.4 Such inequalities often lead to unaffordable education even if school education is free or subsidized, limited access to opportunities for better jobs and health care, and ultimately social and political burdens that explode into civil chaos and even war. The World Bank in 2013 committed to two goals, i.e. to end global extreme poverty and promote shared prosperity in a sustainable way. This resonates strongly with the United Nations Sustainable Development Goals for 2030, especially Goal 1 – To eliminate poverty and Goal 10 – To reduce inequity within and among countries. While extreme poverty is shrinking worldwide, some regions are still struggling to address this challenge. It is estimated that 767 million people are living below the poverty line of US$1.90 per person per day. The profile of poor citizens indicates they are “predominantly rural, young, poorly educated, mostly employed in the agricultural sector, and live in larger households with more children.”5 To overcome this, there needs to be increased economic growth and increased equality within countries. These two factors are seen as important to reducing poverty. One of the important findings from the World Bank report, and not surprising to people in the education sector, is the value of enabling learning across all ages and economic levels. The lessons from the reviewed countries indicate that establishing a stable macroeconomic environment and reducing inﬂation6 together with international trade, commodity prices, job creation and low interest rates were essential for reducing poverty. This together with building a social network, robust education and health systems are the hallmarks of countries that are addressing poverty and inequality. In particular, they note the value of early childhood development (ECD), the role of the home environment and parents that promote greater cognitive skills among the children. The role of parents is critical and improving parents own literacy and essential skills are important. Another important requirement for an effective education and lifelong learning system is the need for quality and focusing on learning, knowledge and marketable skills. With Cell-Ed’s approach to essential skills, we focus on language, workplace skills (especially at the entry level), digital literacy, health & safety, communications, teamwork and personal skills. By using all types of mobile phones, we address barriers such as a lack of infrastructures like classrooms and books, learners not having time or funds to get to a classroom and social norms that discourage adults from attending school. Why does it matter to Cell-Ed that we contribute to addressing poverty and inequality? While the reality is that poverty and inequality have declined, the perception is different. Citizens do not see any appreciable difference to their economic and social contexts. They themselves suffer from the effects of poverty and/or see the effects of it in their community. When this perception is reinforced by extreme wealth and other social injustices, it can lead to unrest and fermentation of extremism. Our commitment is to ensure all citizens have access to learning, as we recognize the important role this plays in addressing poverty and inequality. 1 World Bank. 2016. 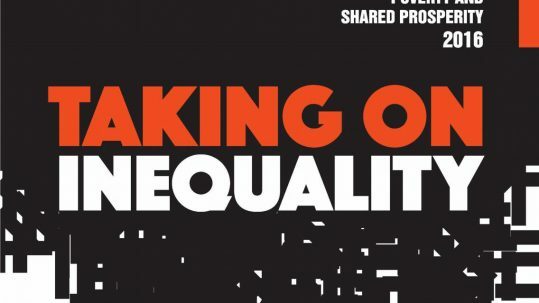 Poverty and Shared Prosperity 2016: Taking on Inequality. Washington, DC: World Bank. 4 World Bank. 2016. Poverty and Shared Prosperity 2016: Taking on Inequality. Washington, DC: World Bank.